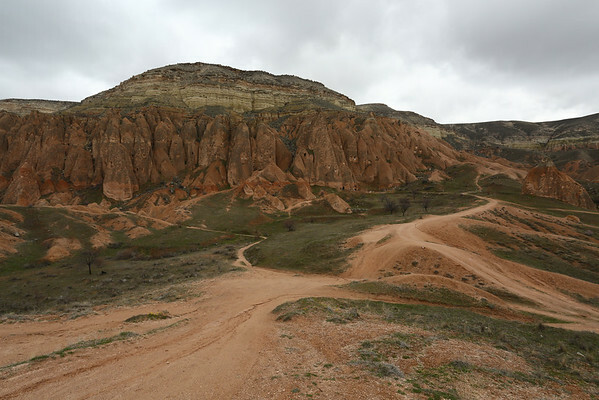 Cappadocia lies in central Anatolia and consists of a plateau of around 1000m pierced with volcanic peaks. The region has an unique landscape formed as the result of volcanic activity and climate. Lava is soft and temperatures vary a lot with negative ones during Winter going to over 40 Celsius during Summer. People used to live in that hill. Windows are still visible.